Little cigars look like regular cigarettes but taste like cigars. One thing that differs them is that they are aromatic. Find out what else differs them and what they have in common. At the beginning let us define cigars and cigarettes in order to see their major differences. The definition of a cigar. A cigar is any roll of tobacco wrapped in leaf tobacco or in any substance which contains tobacco. The definition of a cigarette. A cigarette is any roll of tobacco wrapped in paper or any substance with no tobacco. Traditional cigars are made by hand and have no filters, however modern little cigars have filters. Despite evident differences, little cigars have many in common with cigarettes. For example, size and way of packaging. Similarities with cigarettes make them adorable by smokers, because little cigars combine best of cigarettes and best of cigars! In cigars is used a single type of dried or air-cured tobacco while cigarettes use a blend of several types of tobaccos. Tobacco leaves for making cigars are aged for a year, after that they are fermented for 3 to 5 months. The purpose of fermentation is to change the tobacco with the help of bacterial and chemical reactions. In the end cigars get an absolutely unique and strong taste in comparison with cigarettes. Little cigars are also called small cigars. They have the diameter of regular cigarettes, but may be little bit longer. They weigh 3 pounds or less per 1,000 cigars, and in case they weight more, they are already defined as Large Cigars. Little cigars are brown while cigarettes are usually white. This type of cigars is aromatic and comes with various flavours: cherry, vanille, mint, chocolate. 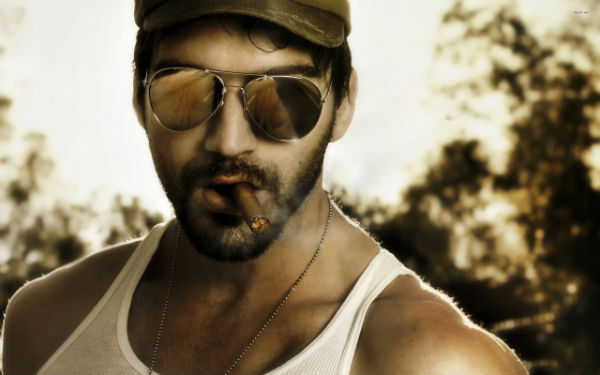 The major advantage of little cigars is that they are smoked like cigarettes. 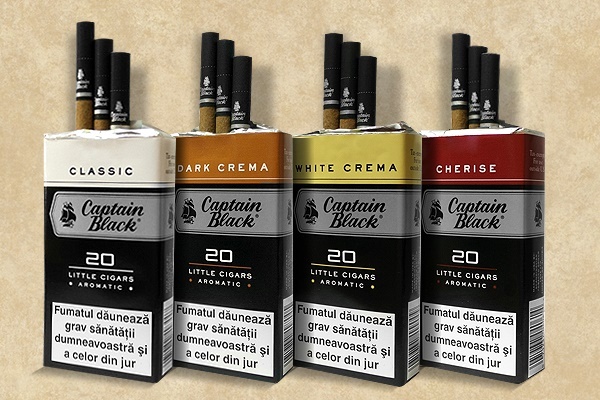 One of most popular brand of little cigars is Captain Black. Captain Black Little Cigars are flavored cigars manufactured in the USA. They are 100mm long and have 8mm in diameter. In the soft package there are 20 flavored sticks that come with filters. Unlike Cuban cigars, these are machine-made cigars which makes them not so expensive. Captain Black Little Cigars are wrapped in brown paper which has a small amount of finely milled tobacco. Why to use little cigars? Well, these are less regulated products and therefore have tasty flavors. In conditions when aromas are banned in regular cigarettes, little cigars are great products to choose. Little cigars are affordable for everyone because they have low price.